Big John and Ramblin’ Ray figure out who they have for this weeks game of the week, John makes sure he won’t lose.. again. Plus what they’ve learned from the show today! Dionne Miller on Chicago Bears and Cubs winning weekend. Big John and Ramblin’ Ray discuss sports with ABC7’s Dionne Miller, where they discuss the Bears win yesterday and the tie-breaking game between the Chicago Cubs and Milwaukee Brewers. Watch Dionna this morning at 11 am on ABC7 as she reports from Wriggly Field! Lou Sponsel, head coach of the Fremd High School football teams previews his team’s upcoming matchup against Palatine with Big John & Ramblin’ Ray. A Mississippi high school football team wins the game in overtime on Friday, thanks to Homecoming Queen Kaylee Foster’s winning goal. Early in the night, Foster was named homecoming queen, an unexpected honor for the senior at Ocean Springs High School in Ocean Springs. 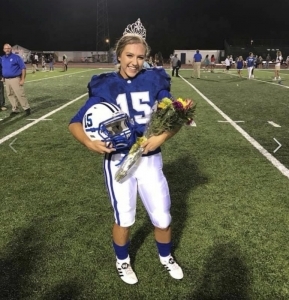 She posed for photos with her flowers and crown, grinning from ear to ear on the football field, with her family and friends looking on from the stands at Greyhound Stadium. When the George County High School Rebels scored a touchdown but failed to convert the extra point in the first possession of overtime, the Greyhounds found themselves down six with the ball. On its next possession, Ocean Springs finally found paydirt on a 29-yard pass, its first touchdown of the night. The game was tied at 12, with the Greyhounds needing an extra point to seal the win. Now, with her team on the brink of victory against George County, she was confident as she grabbed her helmet and stepped onto the field once more. The time had come for the homecoming queen of Ocean Springs, otherwise known as the team’s ace kicker, to take her throne. “Jak King, the holder, he like looks at me and [said] like, ‘it’s okay, Kaylee. Just kick it like you always do. It’s okay,’” said Foster, according to WLOX. The snap was good and the hold was tight, sending her teammates and home fans into a frenzy. Big John and Ramblin’ Ray recap today’s show with ‘What did we learn today?’ a segment where they say what they’ve learned from the show. As well as asking Executive Producer Tony Lossano, Technical Producer Michael Garay, and Associate Producer Kimberly Kaczmarek what they’ve learned. Today’s show covered Dawn Wells , a tribute to Burt Reynolds(1936-2018), and John and Ray’s Game of the Week. Big John and Ramblin’ Ray talk with Naperville Football Coaches Mike Stein and Sean Drendel, asking about their teams and what they hope this season. Also about ‘John & Ray’s High School Game of The Week’. Click here to see Big John and Ramblin’ Ray’s pick of the week! 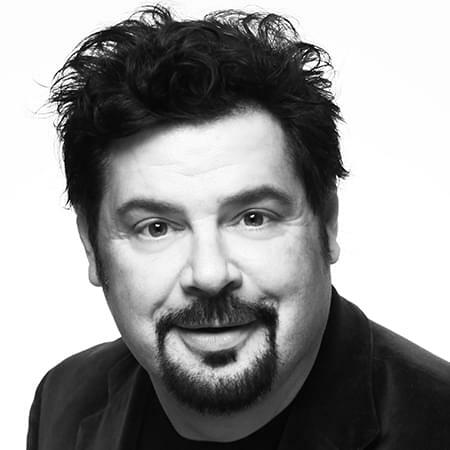 Big John and Ramblin’ Ray are joined by comedian, actor, and talk show host Dennis Miller. They talk about the debate of having football all year about, or at least not having so many preseason games and making them regular season games. (CHICAGO) Debilitating brain injuries from repeated head blows can happen in football, but mounting evidence says they can happen in domestic violence too. Advocates say some survivors are so impaired that they can’t manage their jobs and lives. And some argue that domestic violence screening should include brain injury tests. Dr. Javier Cardenas (HAH’-vee-air CAR’-de-nus) runs an unusual brain injury program for homeless domestic violence survivors at Barrow Neurological Institute in Phoenix. He says these women are the third chapter in the concussion story, after football players and combat veterans. Former Bears Defensive Coordinator Buddy Ryan died on Tuesday morning at the age of 82. Former Bears Head Coach Mike Ditka joined John with reaction. (CHICAGO) With little more than a week to go before football’s future finest converge on Chicago for the 2015 NFL Draft, drivers should be ready to tackle some traffic headaches downtown as crews prepare for the event. Road closures near Grant Park and Roosevelt University began at 6 a.m. Wednsday, with Congress Parkway closed to traffic between Michigan and Columbus until May 8, according to the city’s Office of Emergency Management and Communications. Crews are prepping a “Draft Town” of outdoor fan activites for the April 30-May 2 event. Closures expand next week starting at 6 a.m. on April 27, as Columbus will be shut down from Balbo to Jackson through May 4, officials said. City planners urge drivers to be on the lookout for various no-parking zones in the area on the days of the draft. Lauren Cohn throws a perfect spiral to Bruce Wolf. And Bruce shows that he has better hands than Alshon Jefferey. Chet Chit Chat with the lobotomy line on sports.